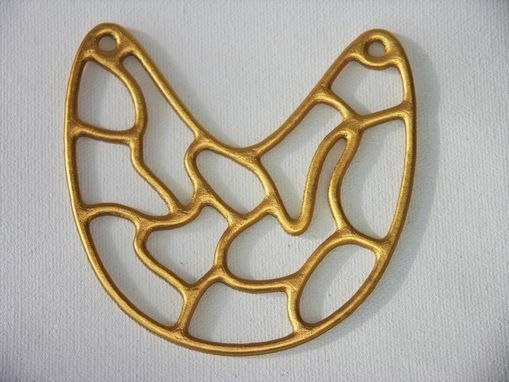 Large 24kt Gold-Plated Pendant. Antique, Organic Appearance. 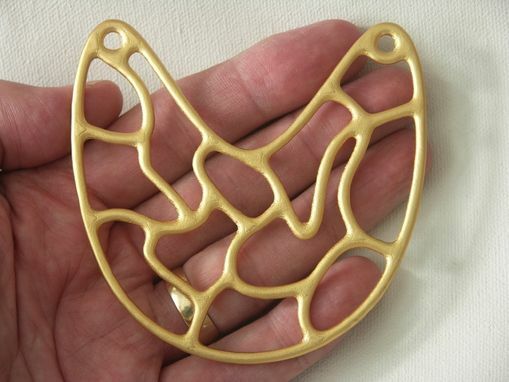 This is my own creation, and is a 24kt gold-plated stainless steel pendant. It has an antique and organic appearance and looks very striking when worn; sure to garner some comments from many who see it. It is a full 9cms in width! You are free to decide how to wear it, whether with a chain or perhaps leather or ribbon? Worried about the gold plating? Don't be. I have been carrying around a ring with this exact plating on it for two months and it shows no sign of damage or wear. As a pendant it should keep this appearance forever with normal wear. I take orders for custom rings, pendants, cufflinks, etc. Please feel free to contact me with no obligation.